Let’s face it, the world of storage has changed dramatically over the last few years. The increasing size of media has brought new need to the market and those needs are no longer being filled by CD’s, DVD’s, or external hard drives anymore. The limitations behind such media in a connected world have brought about a storage revolution of sorts. It is now commonplace for consumers to purchase the once business oriented NAS to supply media, data, and perform backups for the various devices we now have in our homes. There is no shortage of choices when trying to find a NAS, but some are better for users and some are better for power users. LaCie thinks they have the perfect NAS for someone that doesn’t want to be bothered with tedious configurations and confusing setups. 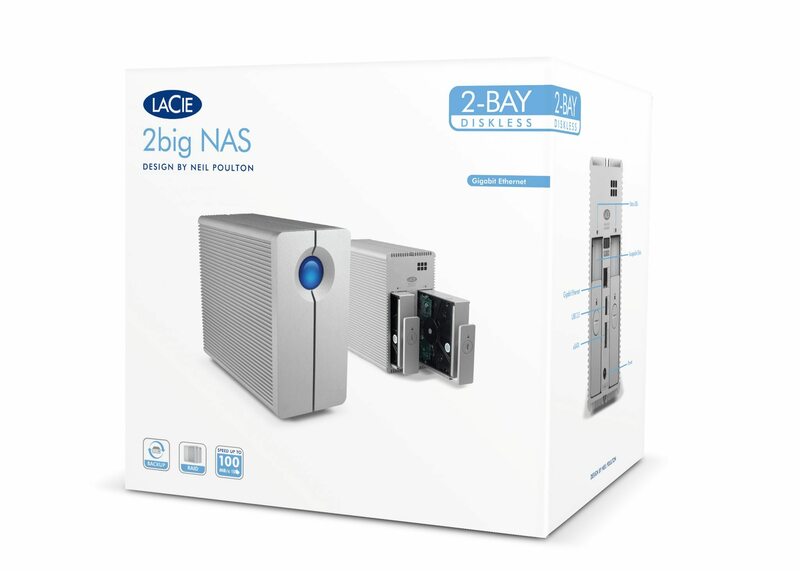 Enter the LaCie 2big NAS, a two bay NAS that promises to deliver on performance without sacrificing simplicity. LaCie has their minds set on delivering a NAS, offered in a diskless or a 3TB version, that nearly anyone can administer. This means having the performance you want and the ability to operate the NAS without having to have a computer science degree. This idea extends from the administration to the design; everything about the LaCie 2big NAS exudes simplicity. The 2big NAS is a two drive NAS with a 2GHz processor and 256MB of RAM. LaCie outfitted the 2big NAS with everything that you would expect from a quality Networked Storage Device: a built in FTP/SFTP server, iSCSI, Print Server, Gigabit connectivity, RAID 1 or RAID 0 arrays, and more. There isn’t much to the 2big NAS. 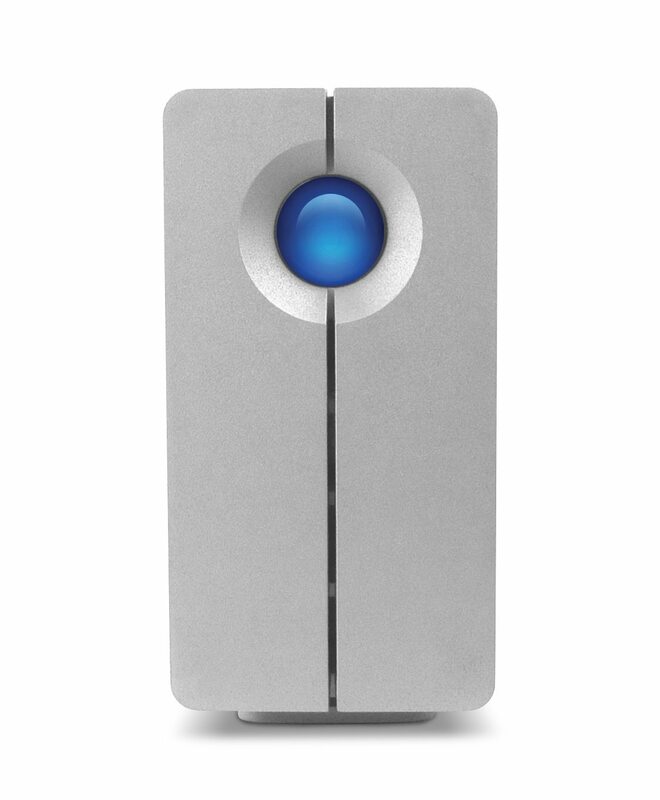 The front features only a bright LaCie branded blue orb that lets you know your NAS is on and serving up your files. I haven't found a LaCie product that isn't well made or well designed. The 2big NAS delivers on both. LaCie has built a NAS that is VERY easy to administer.